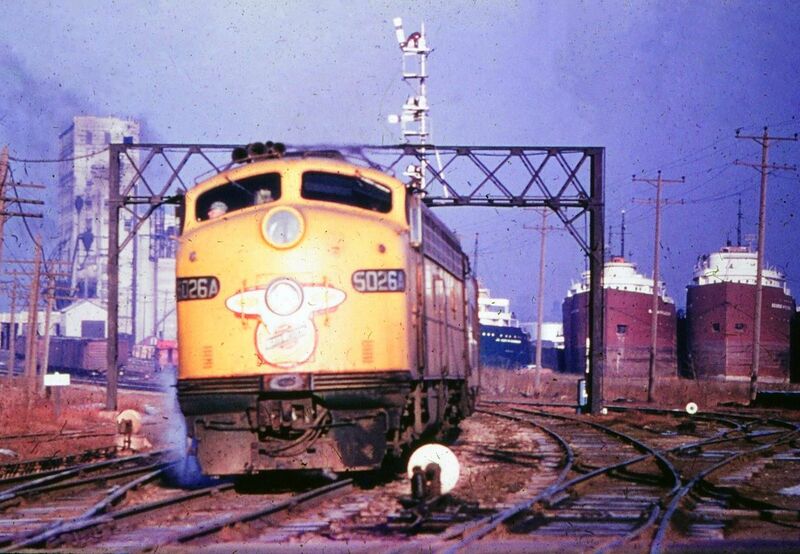 The Flambeau 400 came late to the Chicago & North Western's fleet of 400s when it was inaugurated in the early 1950s. However, the Flambeau, which connected Chicago with the quiet, vacation regions of northern Wisconsin and Michigan's Upper Peninsula had a history that dated back to the 1930s as a popular, seasonal train that ran during the summer months. Following its rechristening as part of the 400 fleet the train grew in popularity and was able to complete its trip in less than 12 hours. Unfortunately, its success was short-lived and by the second-half of the 1950s the C&NW was experiencing declining ridership all across its system, a result of improved highways, better automobiles, and growing airline service. During the late 1960s the Flambeau name was dropped altogether although its service persisted for a few more years before being canceled altogether in the early 1970s. During 1939 the Chicago & North Western could finally boast its own streamliner when new lightweight cars arrived from Pullman-Standard and sleek, colorful diesels came from Electro-Motive. 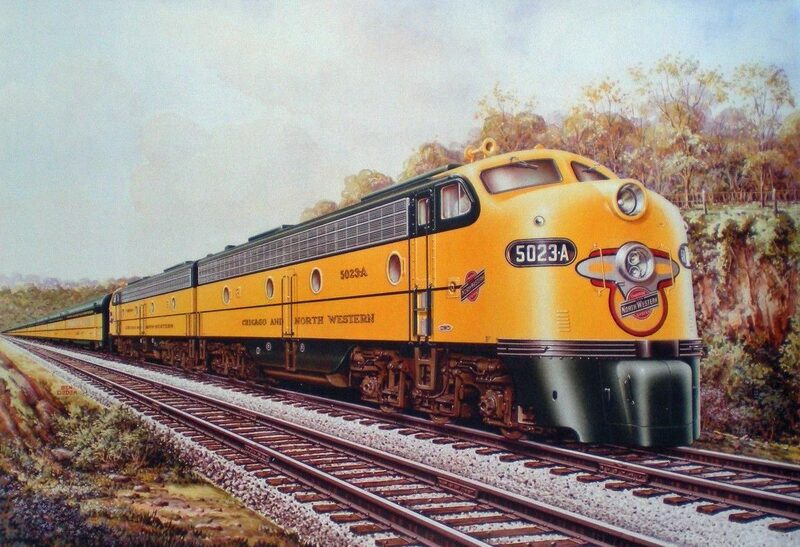 A 1935 bankruptcy had hampered the railroad's earlier efforts to do so but its newly rechristened 400 was a breathtaking train, resplendent in its classic yellow and green livery that dated back to the New North Western Limited of 1912. 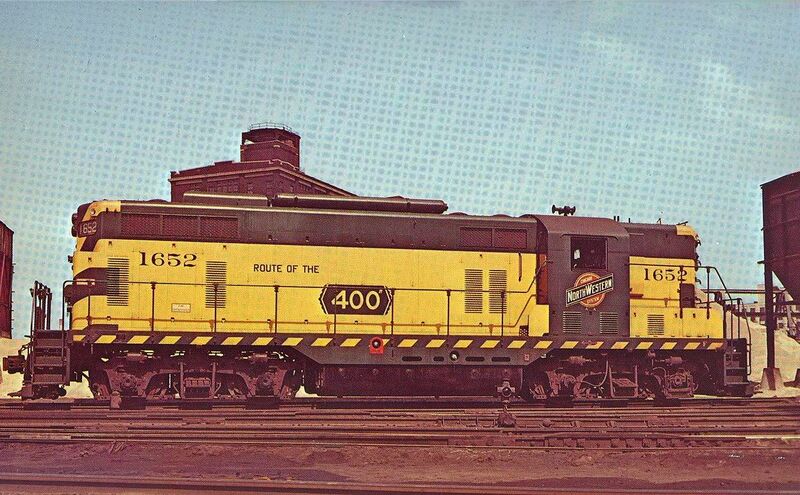 By the early 1940s the C&NW was launching new 400s as fast as the equipment arrived and soon it had a fleet serving the entire Upper Midwest to complement the numerous Union Pacific-owned City trains fielded between Omaha and Chicago. The Flambeau 400 joined the fleet during May of 1950 to provide service between Chicago and Ashland, Wisconsin (via Green Bay) with a seasonal summer schedule into the U.P. of Michigan. However, the train's history actually dated back nearly 20 years. During 1935 the 'North Western inaugurated a seasonal summer train to Wisconsin's North Woods with a section serving Michigan usually running about once weekly. The train, which operated with heavyweight equipment was named the Flambeau, which meant "flaming torch" and was quite popular for many years although it was suspended during World War II. This term was used by French explorers to describe local Indians that fished the local lakes by night using torches. The Flambeau even carried a drumhead featuring a torch, which continued when it was renamed as the Flambeau 400 and displayed prominently in advertisements of the train. After the Flambeau joined the 400 family it carried predominantly lightweight equipment and was advertised by the 'North Western as such: "Fast daily schedule. The Flambeau 400 serving the North Woods country. Luxury Streamliner in daily year 'round service." For power the train normally operated with Electro-Motive E6s or E7s, and then later E8s while its consist between Chicago and Ashland included a Railway Post Office (RPO)-baggage car, baggage-lunch-counter-diner, reclining seat coaches, and a parlor. South of Green bay the Flambeau usually carried additional coaches, a full-service diner, and an additional parlor. This original version of the train was short-lived. As patronage declined the 'North Western looked for ways to reduce costs. It was able to cut a deal with the state of Wisconsin and eliminate some fourteen secondary, money-losing trains by introducing bi-level, "gallery" cars. This equipment, which arrived during 1958 from Pullman-Standard, was essentially upgraded commuter cars sporting such features as parlor service, reclining seat coaches, diners, lounges, etc. When introduced the C&NW greatly advertised these new cars by stating, "Enjoy the greatest travel thrill yet! The new Bi-Level '400's'! You'll like the full roominess of the seats and the whisper-quite air cushioned ride. Take your scenery from the high or low level as you glide along in your comfort-engineered coach or parlor car seat. Enjoy freshly prepared meals in the spacious diner and refreshing beverages in the colorful new bi-level lounge. In fact, treat yourself to an entirely new travel thrill - ride the Bi-Level '400's'. More individual seat space per passenger. Parlor cars with upper and lower 'See-Levels.' Two-level luxury lounge service. Spacious, sparkling dining cars." For about a year these bi-level cars did not operate north of Green Bay and passengers used traditional equipment if continuing north of that point. However, the C&NW changed this arrangement in 1959. Unfortunately, the new gallery equipment did not stem the growing losses. By the 1960s the Flambeau 400 operated with only a few bi-levels and earned most of its money through the movement of mail. During the fall of 1968 the C&NW discontinued the train year-round north of Green Bay cutting it back to a seasonal run only. A later in July of 1969 the railroad quietly ended the 400 name altogether on its remaining trains referring to them simply as "Streamliners." What used to be the Flambeau 400 after this time, trains #153 and #216, soldiered on until early 1971 when it was dropped from the timetable altogether.